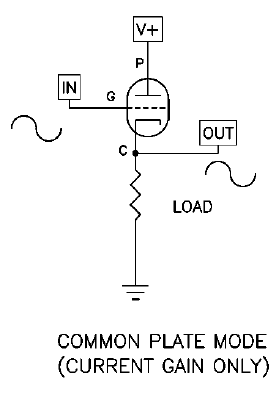 In Common-Plate mode, the tube seeks merely to have the Cathode voltage follow the Grid voltage, so the output voltage is ideally the same as the input, but with some current gain. That is why it's called a follower. 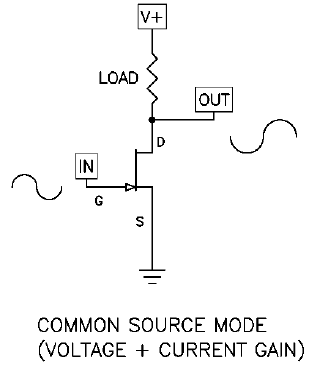 input voltage pretty much follows the output voltage, and in the Common-Source amplifier, the output is inverted and has both voltage and current gain available. 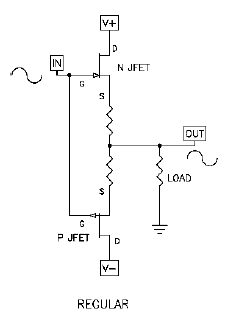 Here's the MOSFET example, and it has the same pin designations as the JFET. It's doesn't matter in terms of the idea of finding the sweet spot – the terrain changes at bit, but the game remains the same. 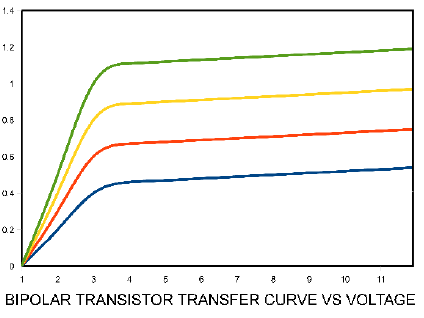 For any of the above circuit types and devices, if you start with reasonable textbook values for the circuit, you will get reasonable performance. If you start to play with the values a little bit, you will find that the performance changes for better or worse. 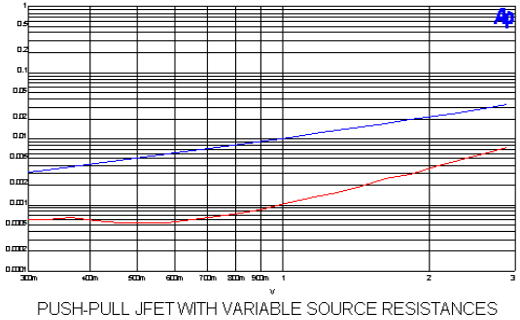 Often you will find a combination of voltage and resistor values which give a lot better than the generic performance. That's the sweet spot. 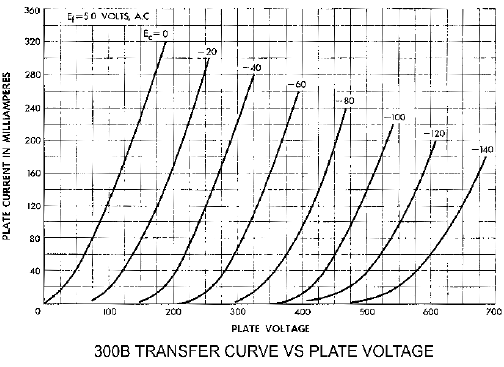 Let's start with a simple big triode, the 300B. 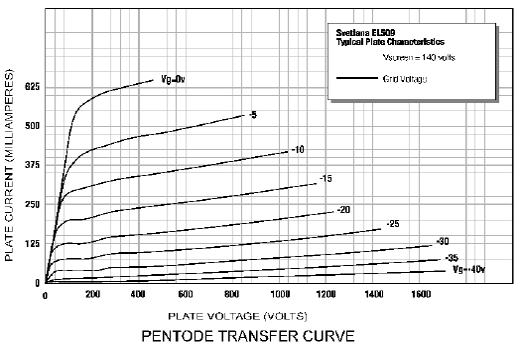 This curve shows the Plate to Cathode current as a function of Grid voltage, with each curve representing a fixed value of plate voltage. These lines are also curved with a shape very similar to the previous graph. A perfectly linear tube will have these lines in both graphs perfectly straight and equally spaced. 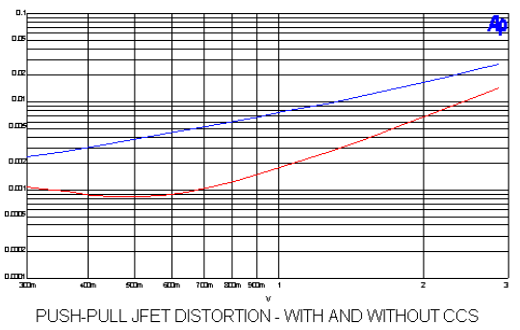 Any deviation from that would be distortion. Looking at the curved lines, we can see that there is quite a bit of distortion. 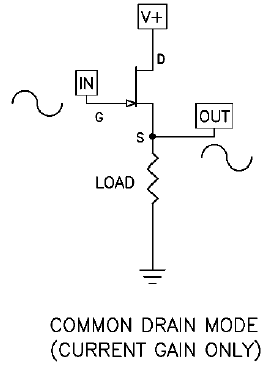 voltage. 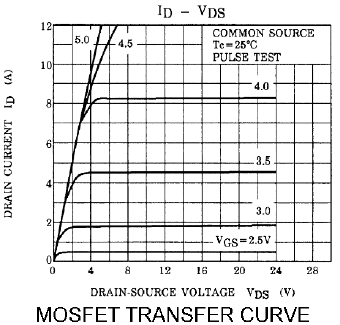 The gain due to Plate current increases, and the gain due to Plate voltage decreases. 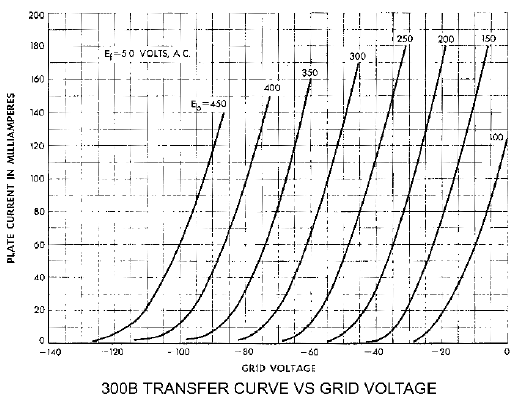 The opposite happens when the Grid voltage goes negative. 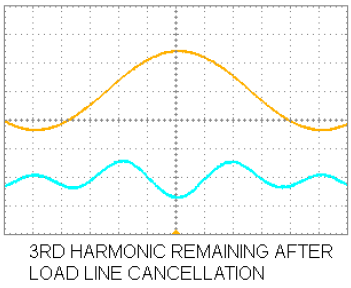 This technique is often referred to as load-line cancellation. 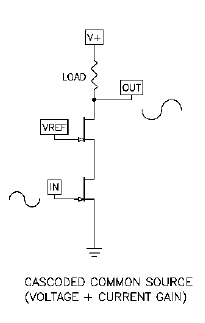 It is called that because the range of the device's operation sits on a line in the transfer curve, and the particular shape and position of that line results in minimum distortion. By some criteria, this would be the sweet spot. 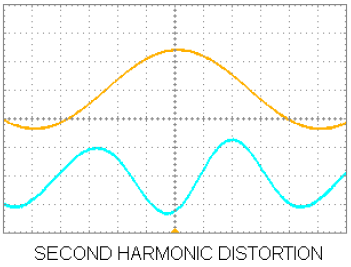 At this point you will probably find that your second harmonic has largely disappeared and you are left with some third harmonic. This is because you can't completely cancel two square law distortions without leaving a cubic trace – the third harmonic. 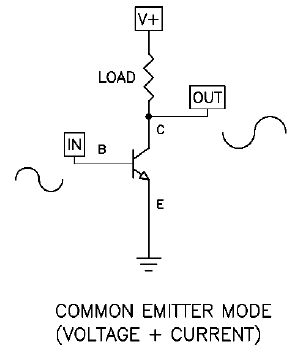 You will note that these aren't the tiny little signal JFETs that everyone is accustomed to. 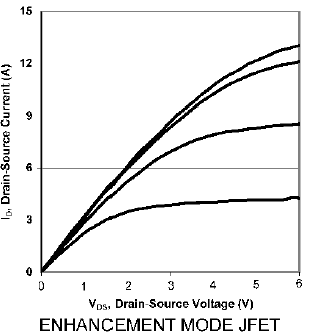 These are examples of the new generation of high power JFETs coming out of the labs. 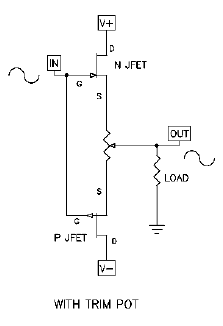 In the 1970's when Yamaha and Sony produced power JFET devices for use in their own amplifiers it created some excitement among audiophiles. Unfortunately it seems that they were ahead of their time, and now those parts are quite rare. 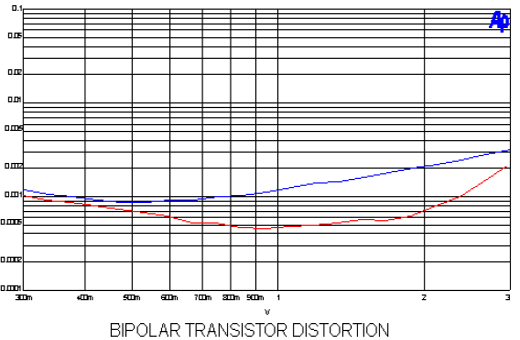 Fortunately totally new devices show promise in modern power amplifiers both as switches and linear amplifying parts – tomorrow's transistors (at tomorrow's prices). 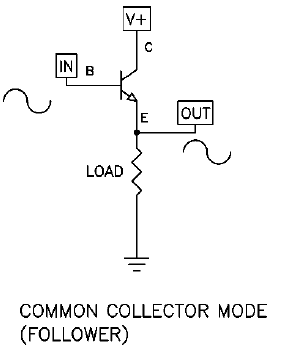 So where's the sweet spot for this sort of circuit? It's there if you go looking for it. The following sets of curves show three techniques for getting a pair of these devices into the sweet spot. 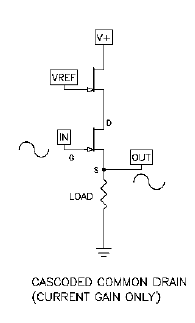 So what do you do if it's impractical to find the optimal load-line in a given circuit? 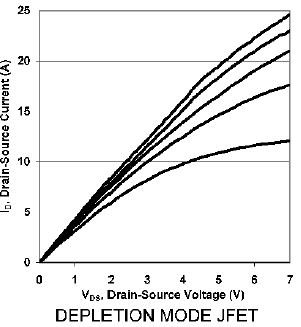 Occasionally the sweet spot occurs at voltage values that are impractically low, or at currents that are higher than a device can handle for a given voltage. Here are three things that a designer can do to get into the zone. It's pretty easy to get into the sweet spot using a cascode, and if you want to explore this in some more detail, I recommend Zen Variations 9, which you can download from www.passlabs.com. 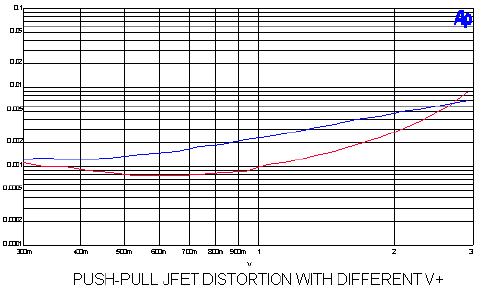 There we explore getting the lowest possible distortion from an amplifier using a single stage with a power JFET having a high current rating, but a low voltage and dissipation rating. 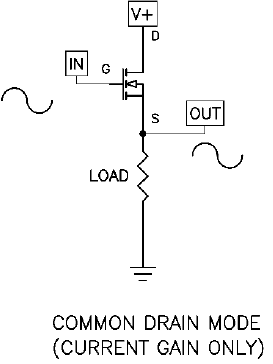 Another thing you can do to get into the zone of the sweet spot is to parallel devices. There are times when the load is too low (and you can't change it) or the voltage is too high, but often you can mitigate this situation by operating devices in parallel. This way you can limit the dissipation of each device, and the load appears as a multiple of the number of devices. 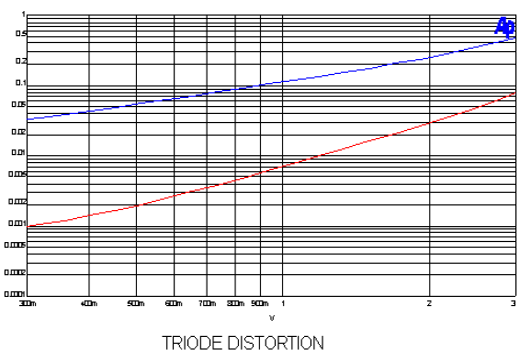 This is particularly true for tube amplifiers operating single-ended Class A without feedback – much of the performance depends on triode load-line cancellation. 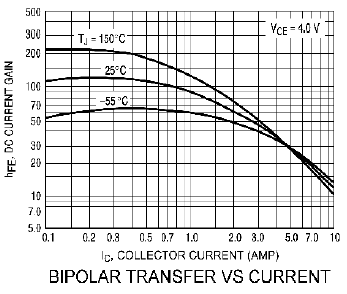 These amplifiers are particularly appreciative of resistive loads, and if you have this situation, it's worth considering ways to flatten the load impedance, giving a more resistive load for the amplifier. There is another solution to this problem if you employ cascoding. 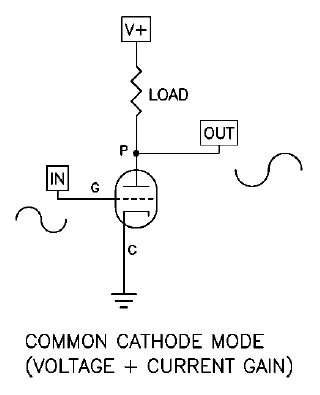 Referring again to Zen Variations 9, we see there is a technique, which I have dubbed “Cascode Modulation”, in which the gain device can be made to see controlled load-line voltage variations which are only a function of the output current, and not related to the output voltage. 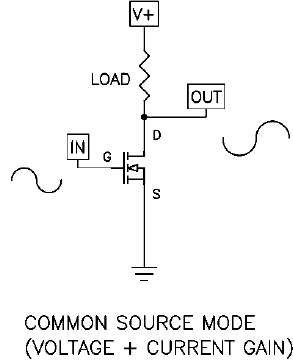 In this way, the sweet spot is preserved into any load reactance or impedance, and it is very easily dialed in by adjusting a couple of resistor values. 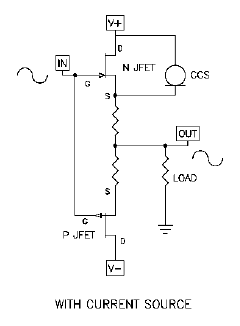 In the example of ZV9, we get a 90% improvement in distortion by simply attaching the cascode's voltage to a different spot, without changing any values or any other characteristics. So there we have it. As an audiophile you want the best performance, and you probably aren't above spending money and trying tweaks of various sorts to help you get it. But there are real improvements that can be had without extra accessories or emptying your wallet. 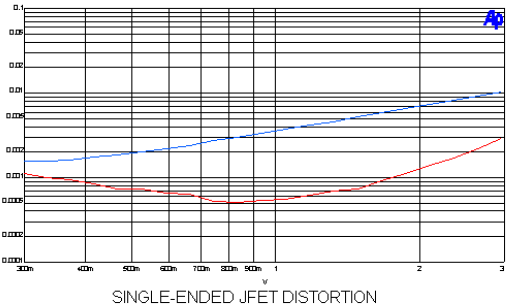 Amplifying circuitry can be made better without more complexity and without more feedback. The best part of this for do-it-yourselfers is that these are things that can be done on your own bench, costing mostly just the time it takes to tweak the circuit and evaluate the results. Moreover, this approach is not seen on the factory floor – for most manufacturers it's simply too time consuming to do, and the rest probably never heard of it. So here's your chance to make simple high quality audio amplifiers better than ever. Buy yourself a cheap used distortion analyzer and go for it.